Last night I fell asleep on the couch. This is a rare occasion for me as I am usually up until 2am, if not later. We had a busy day yesterday though. We went to Target to get groceries for Poppy’s birthday party coming up this weekend. 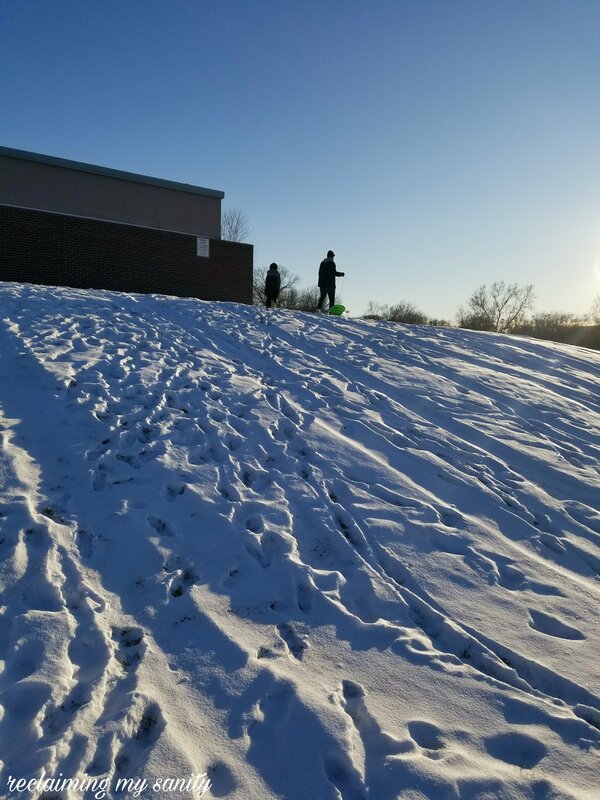 Since we were in the area, we went and checked the snow at my old elementary school hill to see if it was enough for sledding. It was. We took the target groceries home and grabbed the kid’s snow gear. 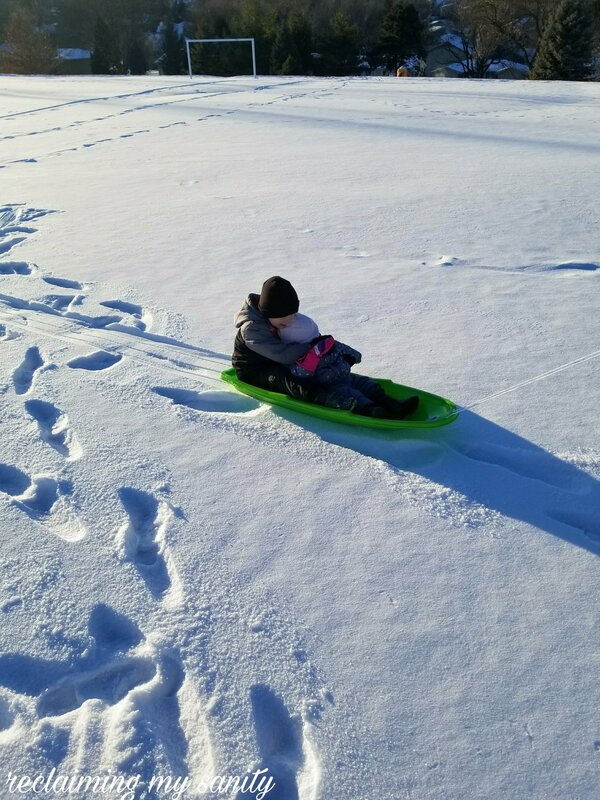 We went back to the school and had so much fun sledding! It was -4 degrees so it didn’t last more than 20 minutes, but it was a blast. There is nothing like watching your partner fly down a snowy hill. We both were laughing so hard at each other. After our little adventure, we still needed to find candy melts, piping bags, and a Hamhock. We went to the Hyvee nearby. We did find the Hamhock and some banana bread, but none of the baking items I needed. I figured Wal-Mart at least would have them as I have bought them from there before, so we headed there. On the way there, both kids fell asleep. In order to avoid having cranky children Chris went into Wal-Mart by himself. I am thankful for technology. He was able to video call me so I could make sure he got what I needed. It literally took like 5 minutes, he was in and out. We went home, got everything and everyone inside. We did some cleaning and decluttering/organizing. My motivation started dwindling and I decided to sit down. It wasn’t long before Pickle handed me his guitar and made me sing songs. I was being silly and singing about our day then I made up a game. Basically the game was I would sing something and if you agree to it you raise your hand. Pickle got a kick out of it. Pickle decided he wanted to watch Transformers and Poppy was laying with Chris in the recliner. I got comfortable and wound up falling asleep. I vaguely remember Chris taking Poppy to our room to lay down. I vaguely remember Pickle waking me up a few times to put a new show on the t.v.. Around 420am, Chris woke me up and said I could go lay in bed with Poppy. I was confused why he was even awake, it took me a minute to realize he was going to work. I laid on the couch for a minute trying to come-to. That’s when the song hit me. I feel like I get the most random songs at the most random times playing in my head. 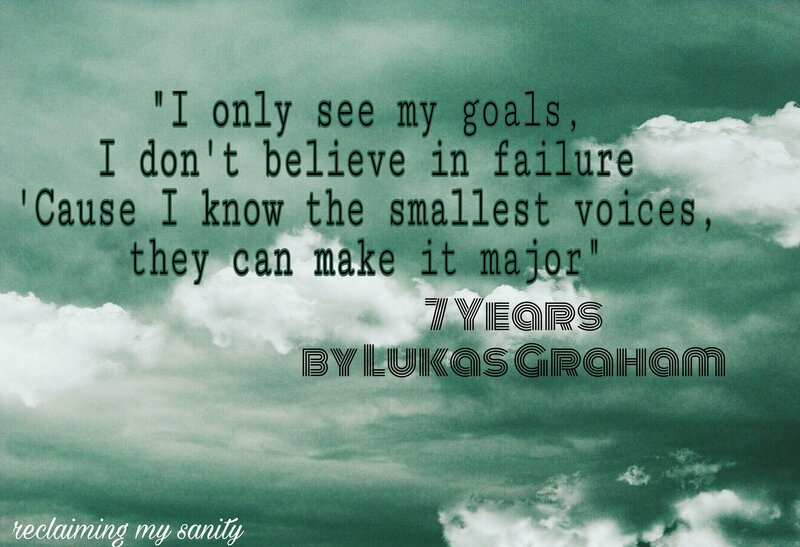 This song is called 7 Years by Lukas Graham.